Roberto Firmino showed off all of his skills against Crystal Palace yesterday. 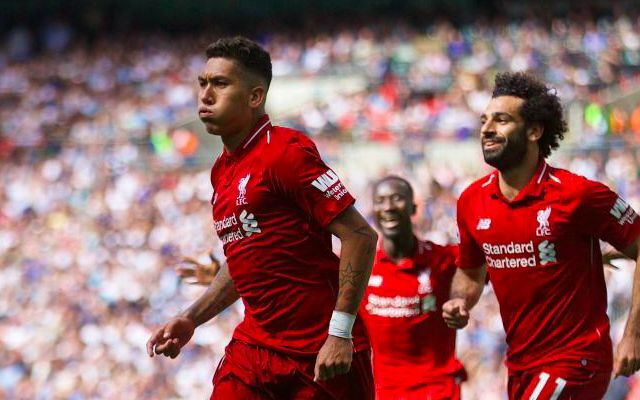 Not only did he play in attack and score a goal; but he dropped back into a holding midfield role and at the end of the game, right-back, following James Milner’s red-card! Is there anything Bobby can’t do?! The Brazilian is on nine goals for the campaign and has shone since the beginning of December, following a relatively quiet first few months of the campaign by his exceptional standards. For us, it’s no surprise that Mo Salah has started to score with more regularity since Firmino regained his touch and confidence. Despite Firmino’s success all over the pitch, we want him back in attacking midfield against Leicester on January 30th – following the team’s break in Dubai. Hopefully the likes of Gini Wijnaldum, Trent Alexander-Arnold and Fabinho will be fully fit for the clash. Bobby Firmino at right back. I liked the bit where Liverpool decided Firmino should play right back for 5 minutes.